I’m slowly working my way towards a new kind of Amiibo article and I thought it would be interesting to do a Battle Review of an old and relatively new Amiibo to see which one is the better of the two. The fact that it is Metroid, one of Nintendo’s most enduring franchises should make it all the more interesting too. 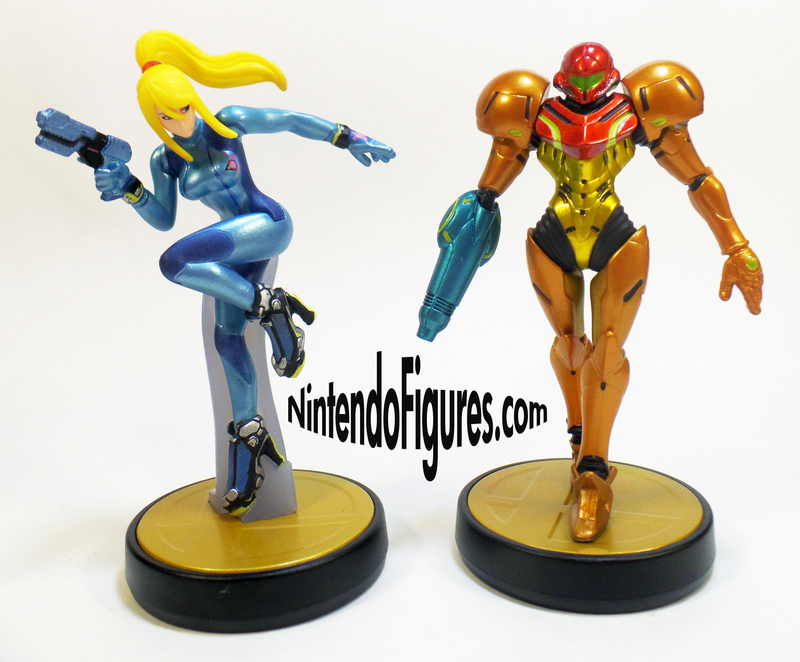 With two dramatically different figures, if you can only have one Samus Amiibo, which one should you own? 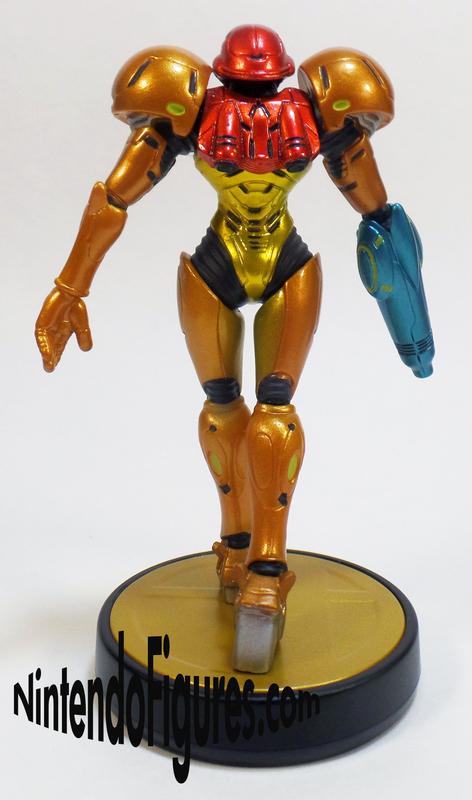 Fighters/Rarity – Samus was in the first wave of Amiibos and was actually one of the first Amiibo I ever saw in stores. I like Metroid pretty well but it is not one of my favorite Nintendo franchises and even with that, I was really impressed by both Amiibos and the Samus one in particular. Back then she was a common Amiibo and pretty easy to find though there were a lot of crooked Samus back then. 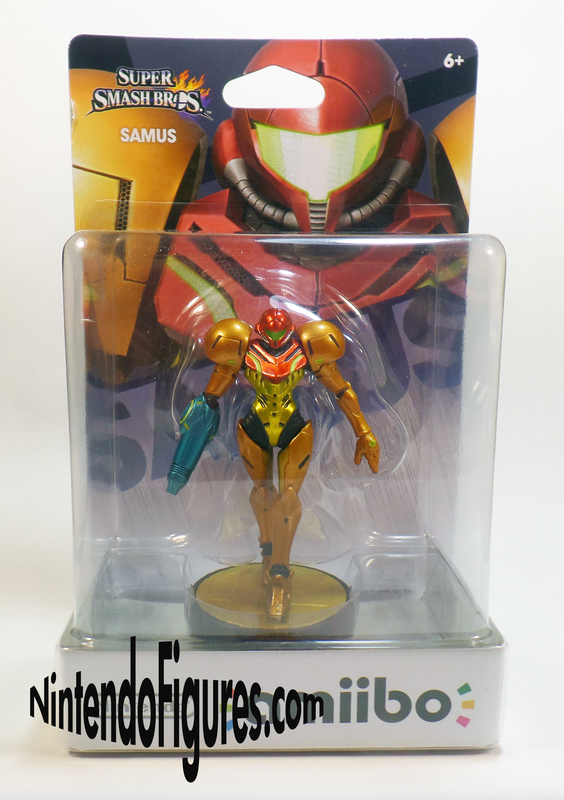 Since that time, Samus has not be rereleased or not very often and she is now considered to be pretty rare. Her price is not on par with other rare or “unicorn” Amiibos and Samus sealed goes for about $30. This was surprising to me as someone who has had Samus for almost a year. I opened the Amiibo to write this review without even thinking about it and slightly regret it, but am still happy to bring you this review. Zero Suit Samus was not common, but not too rare either when she came out. The Amiibo Reddit has her listed as Semi-Rare and that is about what I would put her at too based on my own Amiibo shopping experience. 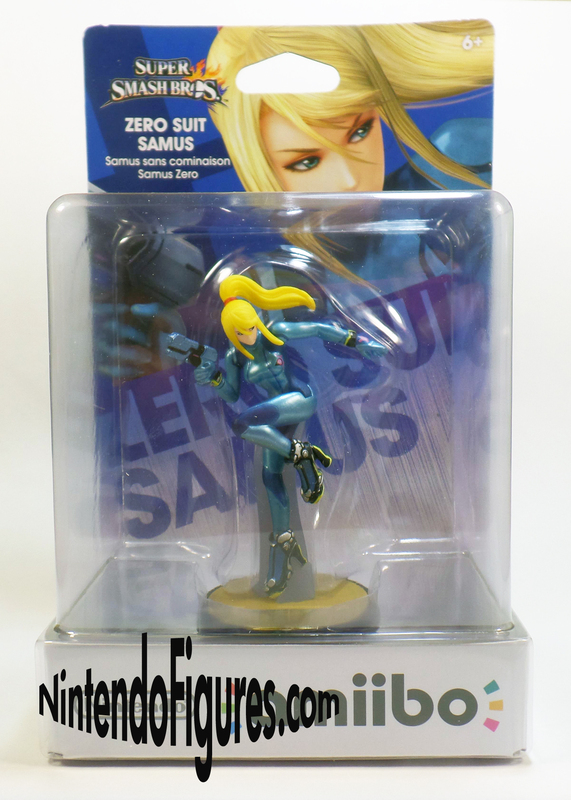 Zero Suit Samus is available more cheaply online than Samus at the time of writing, but if you’re interested in owning the rarer of the two Amiibo, then I would get regular Samus, because she isn’t too expensive (yet). Samus also has better box art and looks great unsealed. Pose – This is one category where these two Amiibo could not be further apart. The Samus Amiibo has a pretty static pose. She looks like she is walking from the save room in Metroid Prime or maybe her ship. While she looks cool, it isn’t an iconic pose from the game which is a little disappointing. One thing that is nice is how well her stands underneath her feet are hidden. Samus also looks great from multiple angles which is a significant advantage too. 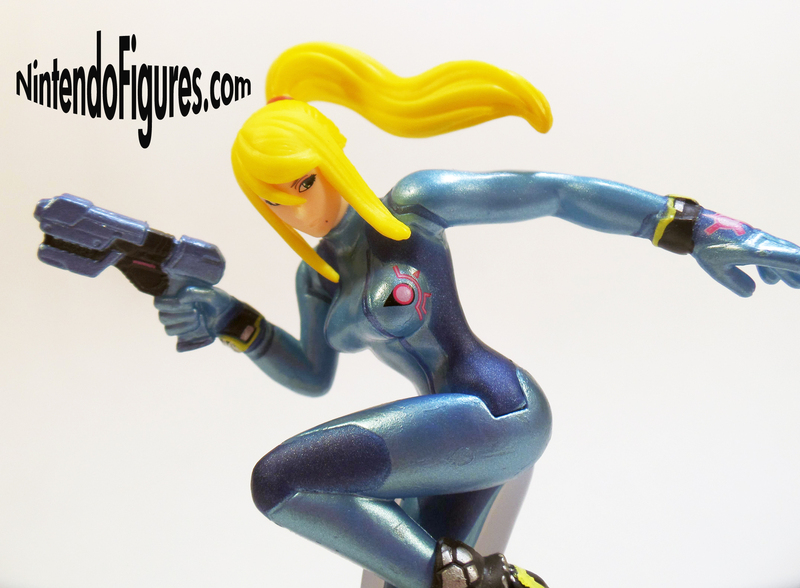 With Zero Suit Samus, the first thing you notice about her Amiibo is how it has an incredibly dynamic action pose. She looks agile and ready to strike which fits her and the Super Smash Brothers games really well. While her stand is pretty well hidden from the front, from any other angle, Zero Suit Samus does not look good and the stand is glaringly obvious. 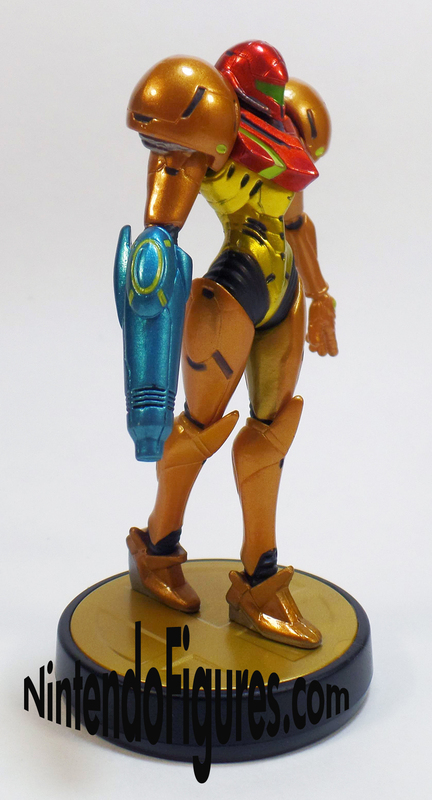 This is a drawback to the stand and her pose unfortunately and the regular Samus looks great from almost any angle. As a result, while the pose is less exciting, being versatile helps Samus takes this category. Paint and Details – One area where both Amiibos excel is with the paint. The Samus Amiibo has some excellent metallic paint that is not only true to the game but shines really well under light. The shadows in Samus’s armor looks great on the Amiibo and really makes this one of the best looking early Amiibos. I wish Samus’s visor was painted a bit better, but other than that, I think this is a great looking Amiibo and while short on details compared to later Amiibos, I really like how it looks. Zero Suit Samus also has some great metallic paint and the light blue really sparkles in sunlight. Her decals on her hands, back, and chest all look really nice and accent the paint job well. Zero Suit Samus has really well placed and nice looking eyes which is something earlier Amiibos rarely had. However, her hair and lips are a bit of a let down. She has no real signs of lipstick and her hair is a bright yellow that does not match how Zero Suit Samus looks in Smash Bros. This is a minor complaint, but something Nintendo usually gets right. The bigger issue is the yellow paint on her boots which needs a second coat badly. The yellow should have been a nice highlight, but instead looks bad and is the most poorly painted part on the Amiibo. While Zero Suit Samus has some nice details and some of the paint job is excellent, Samus plays it safe and gets almost everything right and wins this category. Functionality – Generally, Samus and Zero Suit Samus have similar functionality across Nintendo games. So both Amiibo work in games like Super Mario Maker, Yoshi’s Woolly World, Captain Toad, and Mario Party 10. However, Samus works in Mario Kart 8 and Zero Suit Samus does not. Of course, this means you can get a Samus skin in Mario Kart 8 and not a Zero Suit Samus skin, but this is still yet another example of where Samus edges out Zero Suit Samus. Closing Thoughts – So many newer Amiibos look better than the earlier releases, but in this case, we have a clear winner and that is Samus from the very first wave. Not only does she look better, but she is rarer and has a little bit better functionality. So if you have the cash, I would recommend going for the more iconic of the two. Next Every Female Amiibo Ranked!